Introducing the Equestic SaddleClip, a ground-breaking innovation set to take the Equestrian world by storm. It’s the world’s most user-friendly training sensor which allows you to monitor your training in real time. Key stats on your horse’s symmetry, rhythm, elevation, rein use (and overuse) are shown live on the rider’s mobile app. This data can be used to adapt your training routine or share with your team for optimal performance and horse welfare. Already a huge success in the Netherlands, the Equestic SaddleClip is used by top riders, and has the approval of the Royal Dutch Equestrian Federation (KNHS). The device is simple to use – just clip it on with one hand and off you go! Get a clear overview of your training intensity per session. Decide on the best regime for your horse. Track exactly how much time you spend on the left and right rein. Use this data in real time to adjust your activity if necessary. Monitor how much time is spent walking, trotting and cantering to ensure you meet your training goals. Measure and analyse the tempo per gait (in BPM) for an insight into your horse’s base tempo and tempo variation. Ensure your horse is maintaining optimum tempo at all times. 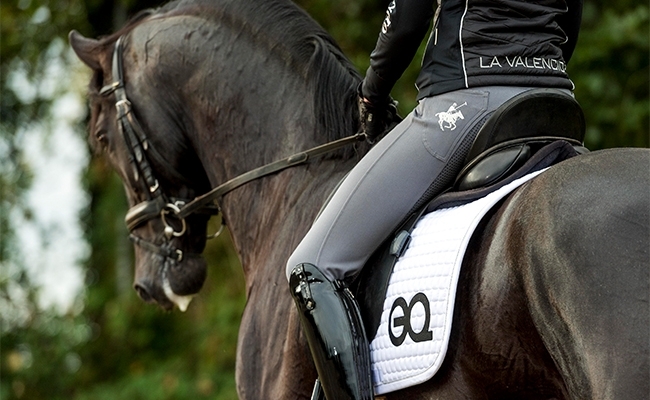 As your horse becomes more collected, it will create more cadence leading to more elevation. Use the SaddleClip to analyse how this evolves over time, giving you more precise and objective insight. Equestic analyses your horse’s symmetry after each training session and compares data. Gain insight into the development of your horse’s symmetry and detect minute changes long before you feel or see them. Measure not only the amount of transitions you make, but exactly how often you make them. Track the number of jumps you do and on which rein, to ensure that train is well balanced. Go back in time and review all training sessions in your calendar. You’ll be able to recall what you did, in which sequence and what the result was. This allows you to monitor progress with your trainer. 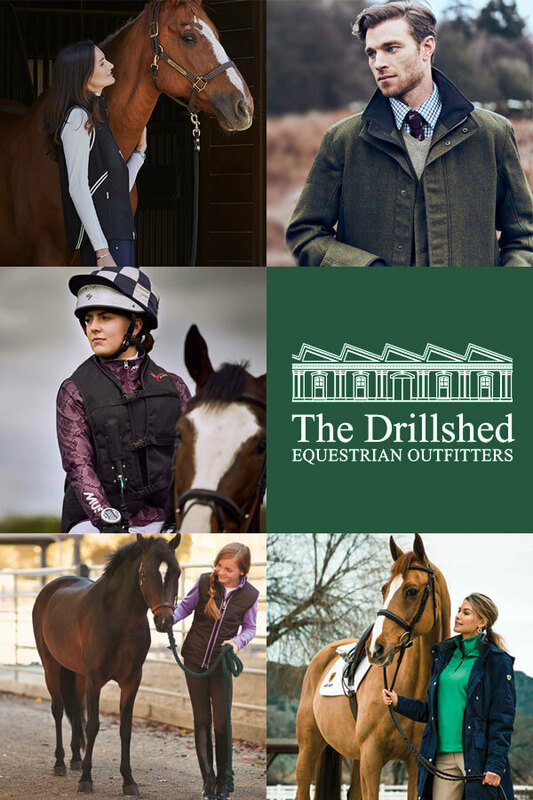 We’re all very excited here at The Drillshed to be the UK exclusive retailer for Equestic. Get your Equestic SaddleClip here and improve your horse training today.